Katzkin leather interiors constitute a dramatic upgrade not only in the areas of feel, wear and the possibility of staying cooler, but also as an improvement in style. Katzkin has always been renowned for producing high-quality car leather upholstery, and their leather seats make for spectacular interior styling in cars. 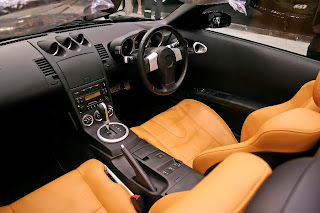 Katzkin has been manufacturing custom leather interiors since 1986, and they have a number of impressive relationships across the automotive industry. These include being the official leather supplier for Ford Motor Company and Shelby American, Inc., as well as being the only tested and approved leather seat accessory for Chrysler, Jeep, Dodge, Ram and Fiat cars. Clearly, they are one of the most trusted sources of leather upholstery in the industry, and their quality and performance is unmatched.